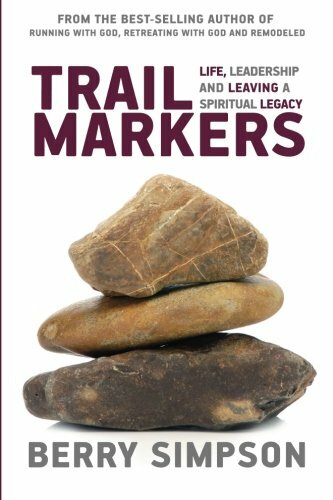 Secrets from the Trail on Life, Leadership, and Leaving a Spiritual Legacy "When hiking in the wilderness, every step we take leaves a mark on the trail and helps to define it for those who follow. 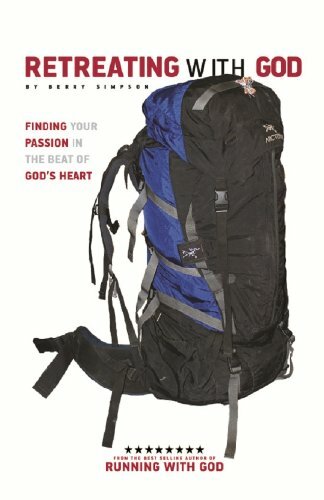 "—Berry Simpson If you love the outdoors, love God, and desire to love others in significant ways, this book is for you. Writer, runner, and hiker Berry Simpson invites you to join him on trails that wind through the forests and up the rocky steeps of the Guadalupe Mountains, Estes Park, and other high places of the West. There, vistas unfold that you can never see unless you purchase them with your feet, following pathways imprinted on the landscape by those who have gone before you. Trail Markers reveals the parables the trail holds for those who take time to see. Here is a hiker’s legacy of insights on life, faith, ministry, family, relationships, and leadership. If you value wise perspectives and reflections as varied and sublime as the view from a high-country footpath, make this book your companion on your journey of godly impact. 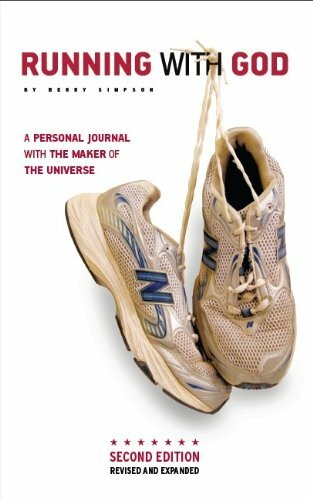 This is the story of a personal spiritual journey that happens to be anchored in running. While running is a great way of life, there are deeper issues that affect us all. The metaphor of running creates a great tool to help us understand how to better appreciate our family, and grow in our faith. "I first started running in the summer of 1978 to win the heart of a girl, but instead, I found God. He chose running to be one of the the places he revealed himself to me. Through my time alone, on my feet, the God of my parents and my grandparents became my God. It was on the road and on the trail that my relationship with God became personal. We developed a friendship which grew bigger than church and became deeper than rules of behavior." The Bible tells us in Proverbs 4:23, "Above all else, guard your heart, for everything you do flows from it." This is the story of my adventures as I learns to guard my heart while backpacking in the Guadalupe Mountains of west Texas. "I've learned to be intentional about searching for God, intentional about loving my wife, intentional about rehabbing my bum knees, and intentional about guarding my heart. As I've gotten older I've realized I can't separate my understanding of God from my relationships and from my heart; especially my relationship with my wife, Cyndi. It all get mixed together, just like my stories. Feeding my heart has become a constant process of stepping deeper into those critical relationships. That first hike up Tejas Trail was a deliberate move toward my own heart, and I am a better man because of it." 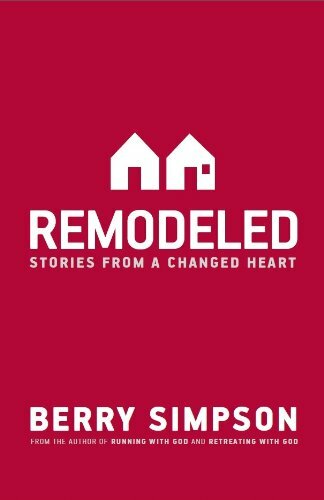 Using the prayer in Ephesians 3:17–19 as its blueprint, Remodeled takes you on a richly personal journey of interior redesign. Both a memoir and a devotional, this honest and poignant book splashes stories, reflections, and scriptural insights on its pages like colors in an Impressionist painting. Smaller images—some bright and joyous, others shadowy and painful—weave together to form the larger portrait of a life in the ongoing process of transformation. Remodeled invites you to consider your own life and discover how God is at work in it, wisely and lovingly remodeling you within. What advice would you give yourself if you could speak back through time? Would you make a list of mistakes to avoid, jobs to stay away from, and people to embrace? Or would you accept the fact that those mistakes and jobs and people made you the person you are today, so they shouldn’t change? 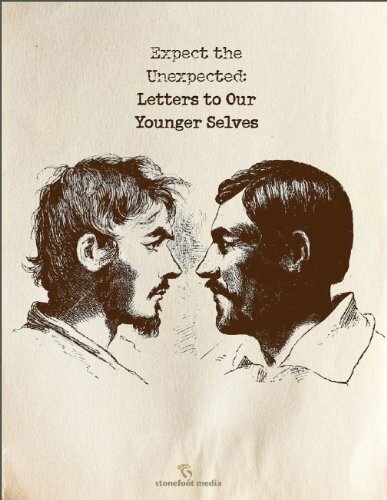 These letters began as an Iron Man project, and they are our attempt to speak to our own younger selves. We wrote them with our own selves in mind, knowing that the real audience for our advice is each other, our sons, and our friends.